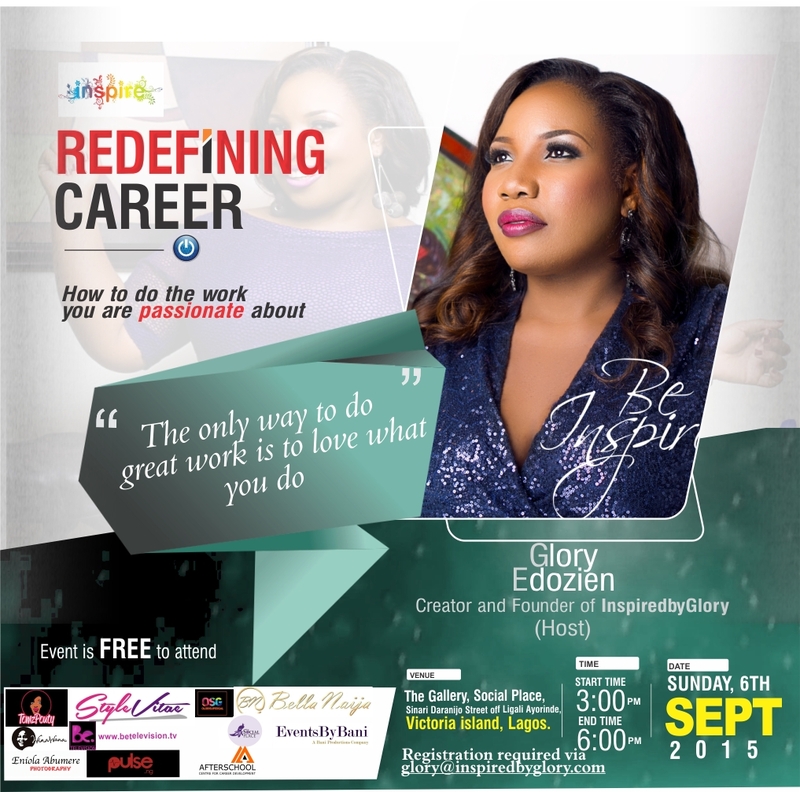 Through out this year i have been co-hosting a series of events along with my friend Glory Edozien of the Inspire Series. 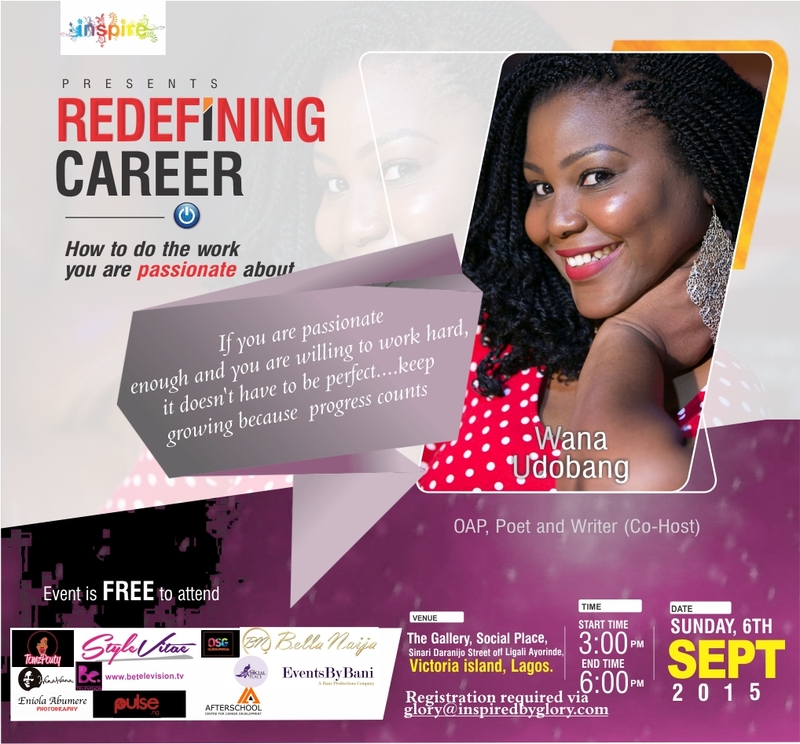 The events have been geared towards redefining conversations about women and the way we perceive our selves and our lives. 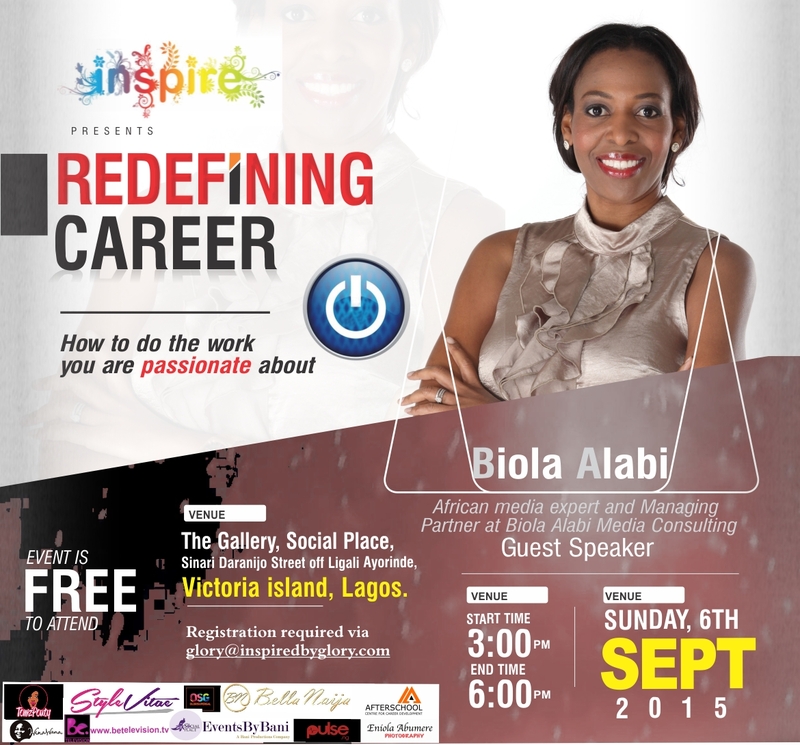 The Inspire Series event is about to embark on its third edition themed ‘ Redefining Career’. 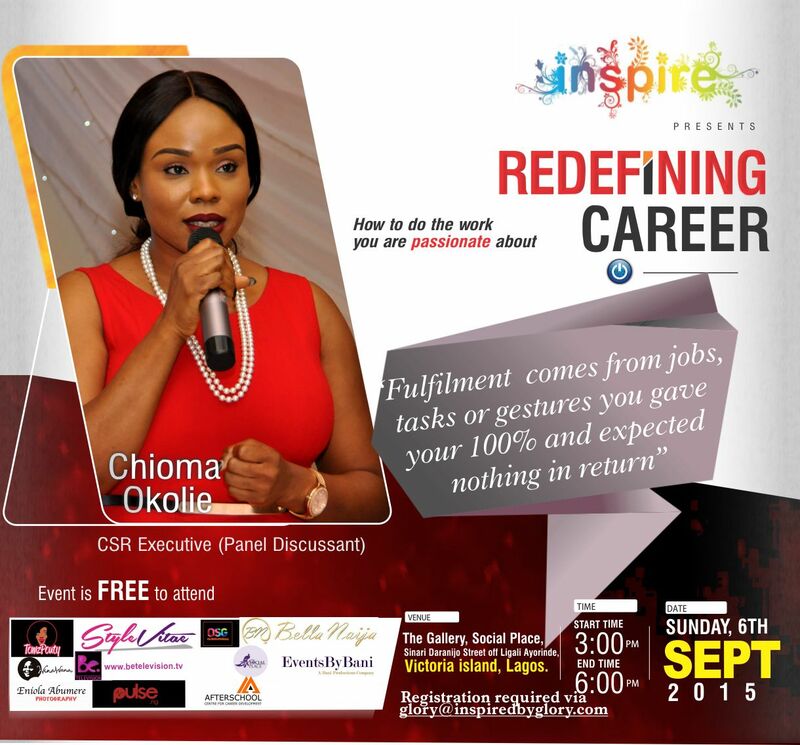 In the past year we have redefined conversations on beauty and finance and we hope that this edition gives people a chance to take control of the lives that they truly desire through their career endeavours. 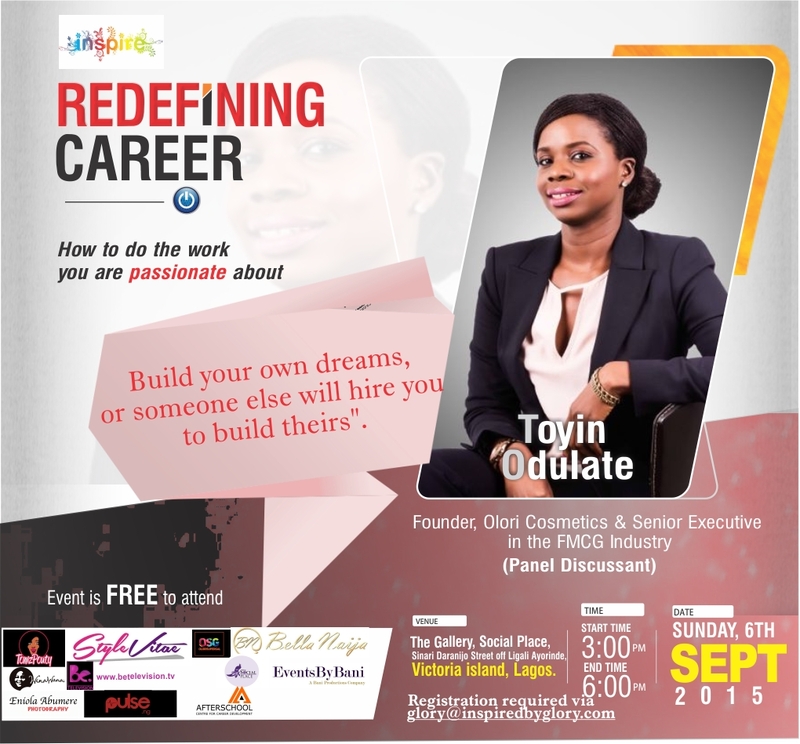 Biola Alabi will be presenting the masterclass and i will be moderating the panel afterwards about ‘How to do the work you are passionate about’ Titilope Sonuga, Chioma Okolie and Toyin Odulate. 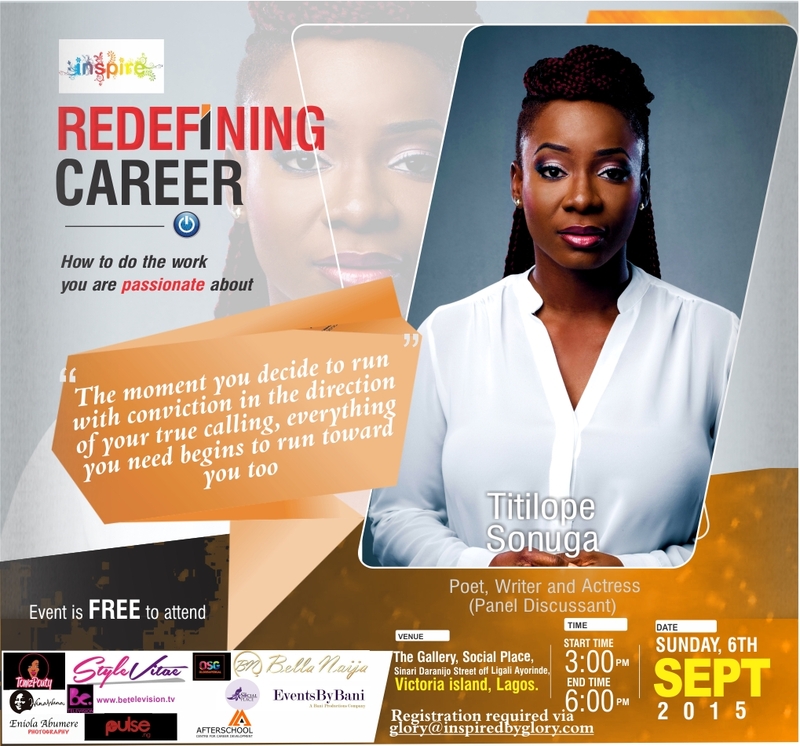 The event will take place on Sunday 6th September, 2015 from 2pm. Visit www.inspiredbyglory.com for more information.